Federal prosecutors in the Southern District of New York allege that Collins, while he was a board member of Australian firm Innate Immunotherapeutics, gave a tip to his son Cameron last year about a failed drug trial that would soon be announced. His son used that information to dump the stock and avoid a six-figure loss, the Justice Department alleges, and Cameron Collins passed that information along to his father-in-law. 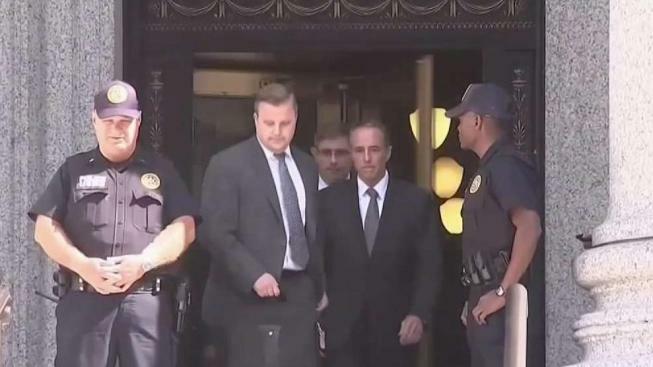 New York GOP Rep. Chris Collins arrested for insider trading from CNBC. Since July 2017, Federal Election Commission records show Collins' campaign has been paying up to $60,000 per month in legal services to prestigious law firm Baker Hostetler. The firm is representing Collins in the case. The payments coincide with multiple inquiries into Collins's alleged insider-trading scheme. At the time, the OCE announced it had "a substantial reason to believe that Collins "shared material nonpublic information in the purchase of Innate stock." The announcement came just weeks after the alleged phone call Collins made to his son during the congressional picnic at the White House. During the call, Collins allegedly warned his son to trade his stock immediately after he received an email from Innate's CEO describing the results of the failed drug trial. After the referral to the House Ethics Committee, Collins appeared to rev up his defense. From August through September of last year, his campaign made four payments to Baker Hostetler totaling over $115,000. In October, the House Ethics Committee announced that it had extended its review of Collins but declined to provide an end date to the investigation. White collar crime experts said the evidence against Collins is immense, and that he could be on the verge of facing extreme legal punishment for his actions. For now, Collins is standing firm and refusing to resign. In a press conference on Wednesday, he called the charges against him "meritless." He said he intends to earn the voters' trust come this year's congressional midterm election. Collins is currently facing off against Grant Island town supervisor Nate McMurray, a Democrat who's raised $133,624 through the election cycle. Collins is dominating fundraising game so far, bringing in $1.2 million.